Every golfer attempts to play it once in their lifetime. 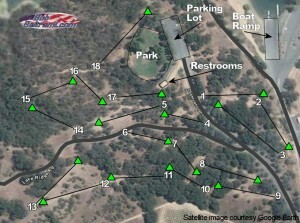 Join Karl, Vince and I as we journey from Fort Bragg to Santa Cruz to play this 27 hole disc golf course. We had a memorable time. 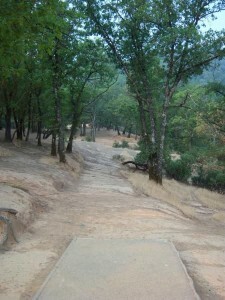 Sonoma, one of the oldest disc golf clubs in California. This event is limited to 150 players and usually sells out so we recommend early registration to assure a spot. For more information, visit http://ufosdg.org. 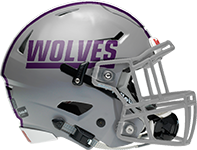 Online registration is available via PayPal on the site. Looking for something fun to do in town? How about playing disc golf? 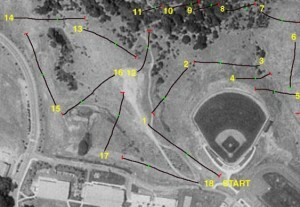 As of June 2009, there is finally a disc golf course in the city of Fort Bragg! When you get a chance, stop by the campus (park at the south end of the long parking lot) and play some disc golf for free! Be sure to bring your friends and family along. We hope to see you on our campus playing disc golf soon! Phase II is on and we need to raise funds to purchase signs, build some steps and short bridges. Donations are greatly appreciated. If you or some one you know is interested in making a donation please contact Mendocino College Maintenance & Operations, 468-3076. Thanks to everyone for all their hard work and assistance over the past year. There are 18 pole holes, with two sets of tees. Red tees are for advanced players, green tees are for beginners. Course fees are $4.00 per player, per day, and your fees include a coupon that can be redeemed immediately for a full $4.00 OFF of any AVBC retail purchase of $7.99 or more, including beer (a game plus a $3.99 sixpack – how\’s that for a deal?). Directions: 101 north to Cloverdale, exit at 128 west. 1.5 hours to Rte. 1 north. 10 minutes to Mendocino’s lone traffic signal, turn left (west) on Little Lake St., 5 blocks to a right on Kasten St. Go 2 blocks, and park. 1st tee at NW corner of parking lot. N. State Street exit off 101, south on State St. to a right on Low Gap Rd., 1 mile to course across from high school. Follow trail to course across the bridge. Nice elevation changes on rough/rocky terrain. Most holes are tight and lacking well-defined fairways. Check out http://bobbeltrami.com/discgolf.htm for detailed info. the course at Manchester beach KOA is great. 9 holes in the summer, 18 in winter. super fun. made tons of shots around trees. i would want this course in my backyard! just check in at the store and play is free.